In this article we will discuss about basic of Geometry that is Line and Angle similarity concepts. This article is very important as it will clear your doubts about angle and triangle similarity. A line is made up of infinite points and it has no end point. A line segment is a part of line which has two end point. A ray has only one point and it will goes up to infinity in one direction. 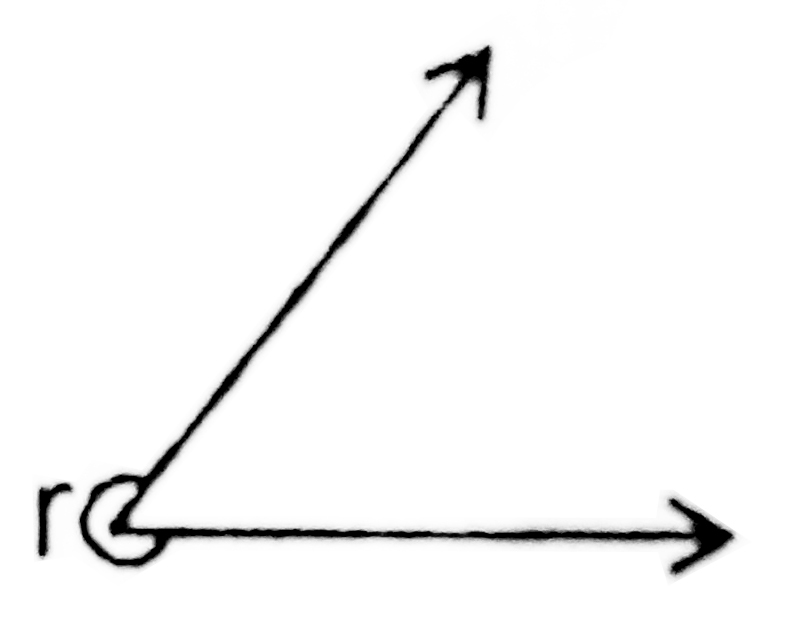 Three or more than three points are said to be collinear if a line contains all of them. 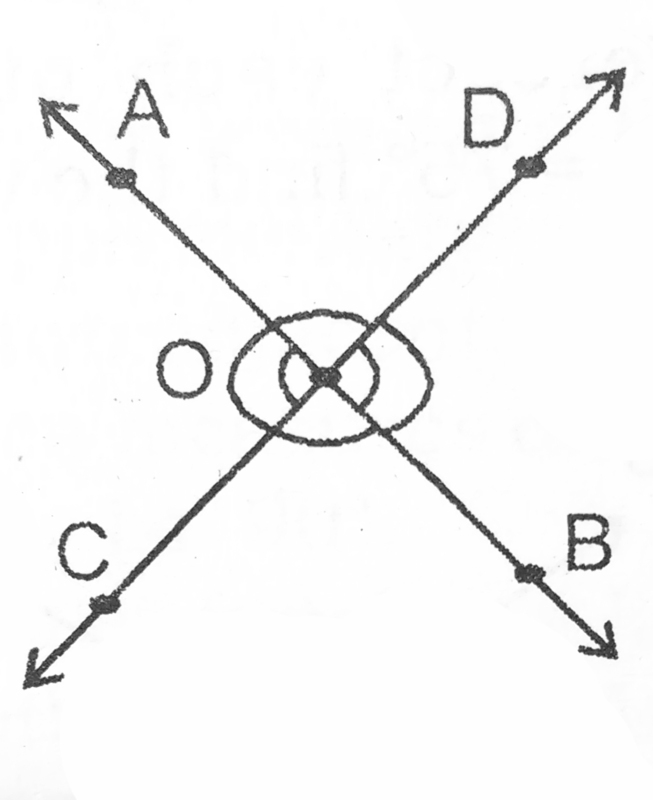 Here A, B and C are collinear point as all of them lie on the same point. Three or more than three lines are said to be collinear if there is a point which lie on all of them. 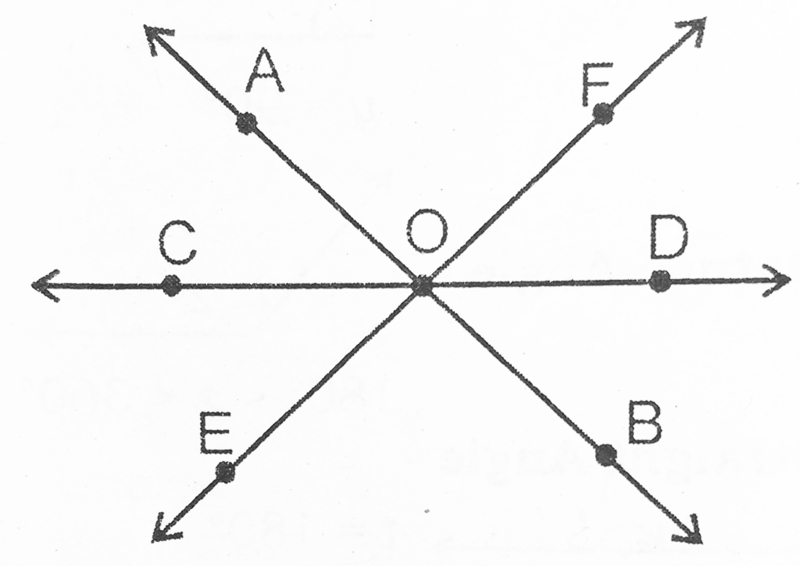 If two lines have no point of intersection if they produced up to infinity then the lines are parallel to each other. If two lines have a point in common they are said to be intersecting lines. an angle is formed when two or more than two lines or line segment meets. An angle which is smaller than 90° is called an acute angle. An angle of 90° is called an right angle. Angles greater than 90° are called obtuse angle. Angle of 180° is known as straight angle as it is formed on a straight line. Angle greater than 180° but smaller than 360° are known as reflex angle. When the sum of two angles measure is 90° then the angles are said to be complementary angle. when the sum of two angle measure is 180° then the angles are said to be supplementary angle. 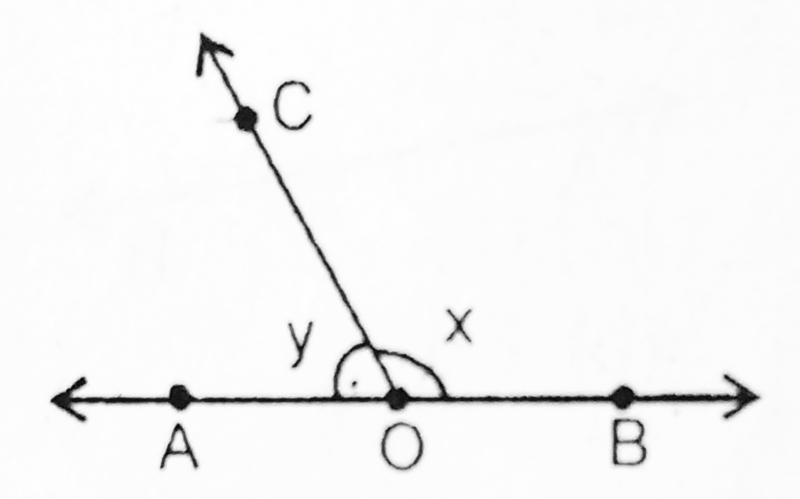 here sum of angle x and y is 180° as AB is a straight line. So angle x and y are supplementary. They have a common vertex. They have a common arm. The non-common arm are on either side of the common arm. A linear pair is pair of adjacent angles whose non-common sides are opposite to each other. That is supplementary angle are always linear pair. 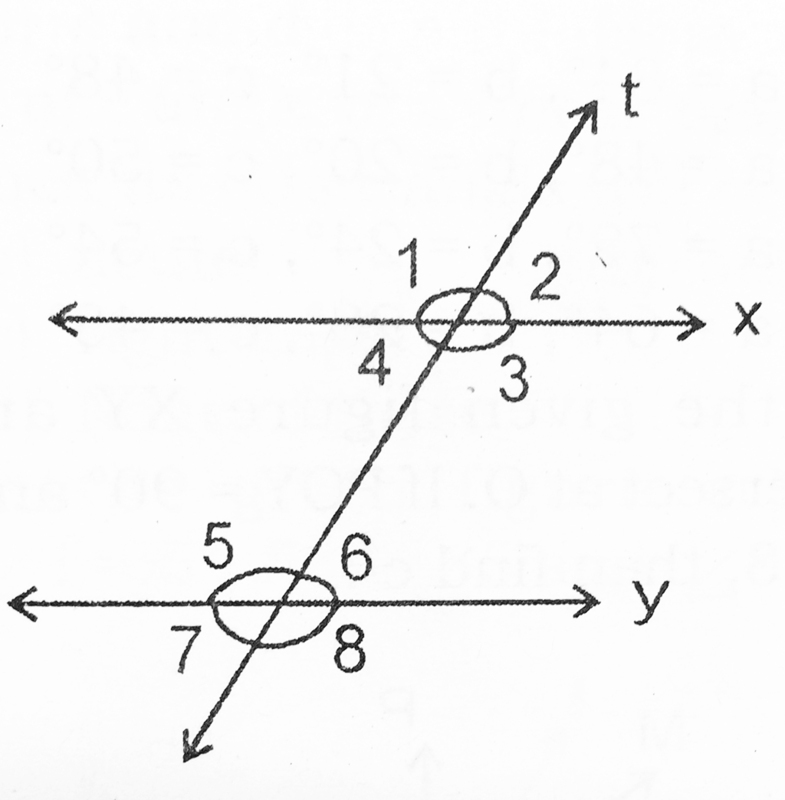 when two lines intersect they form two pair of vertically opposite angles. Vertically opposite angle always equal to each other. Interior angles on the same side of the transverse are supplementary. Two triangle are said to be congruent if they are equal in all respects i.e. 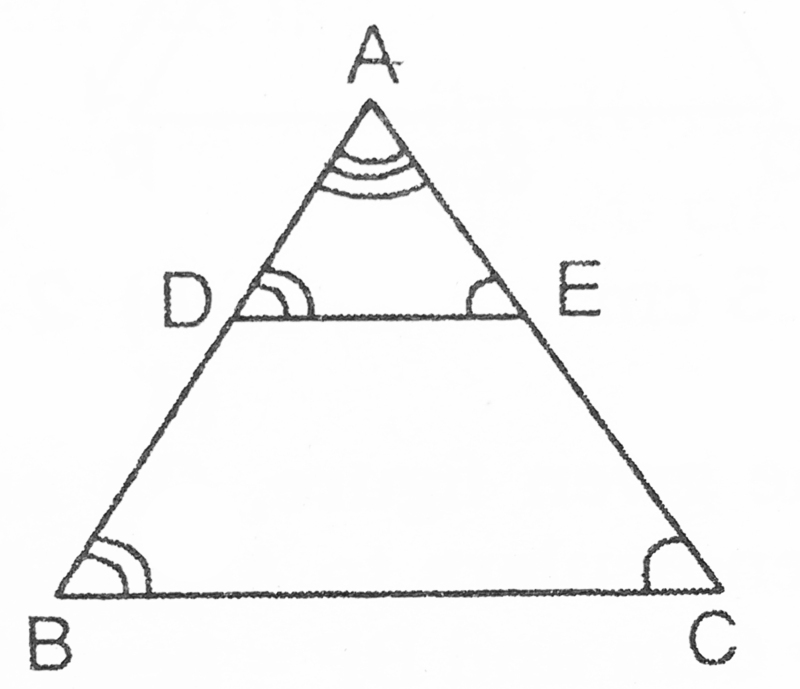 Each of the three sides of one triangle must be equal to the three respective sides of the other. 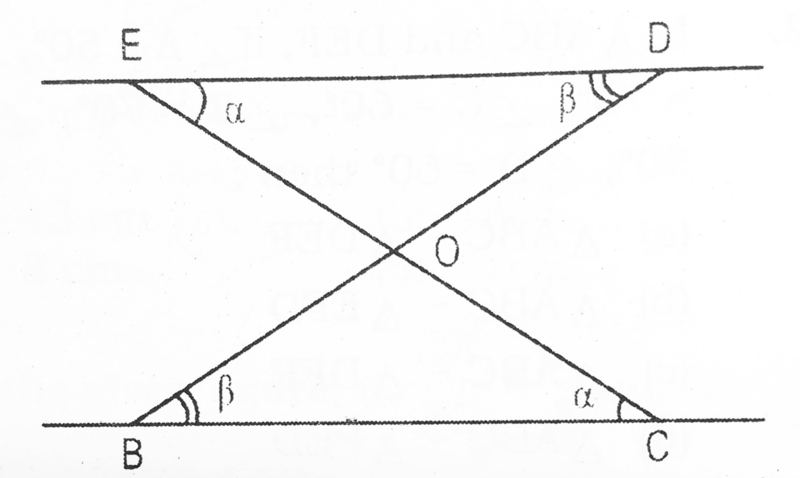 Each of three angles of one triangle must be equal to the other three respective angles of the other. If AB=PQ, AC=PR & BC=QR then triangle ABC and triangle PQR are congruent to each other. If two sides and the angle between the two sides are equal then both the triangle are congruent to each other. If ∠B=∠Q, ∠C=∠R and the sides BC=QR then above two triangle are congruent. if ∠B=∠Q, ∠C=∠R and AC=PR then the above two triangle are congruent to each other. 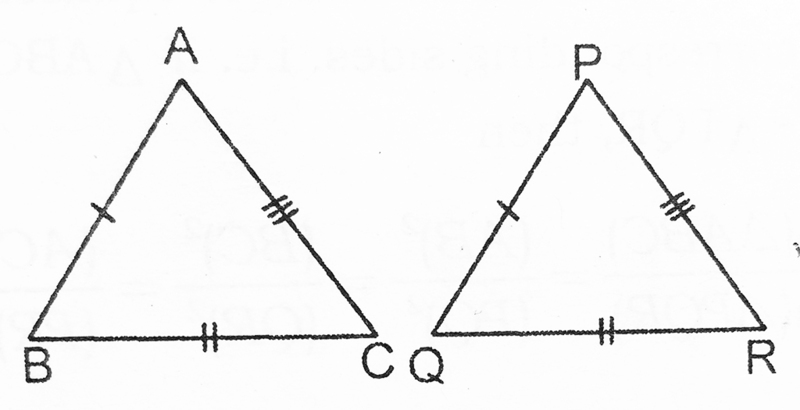 if ∠B=∠Q, BC=QR and AC=PR then the above triangle are congruent to each other. Two triangle are similar are said to be similar if the corresponding angles are congruent and the corresponding sides are in proportions. Congruent triangle are always similar to each other. (3) If a line drawn parallel to one side of the triangle to intersect the other two sides in distinct points , the other sides are divided in the same ratio. (4) Two triangle between the two parallel lines are parallel to each other.